The Boston Globe reports that prosecutors are arguing before a grand jury that Aaron Hernandez should be charged with the shooting deaths of two men outside a Boston nightclub in 2012, a previously unsolved murder in which Hernandez emerged as the prime suspect last month. 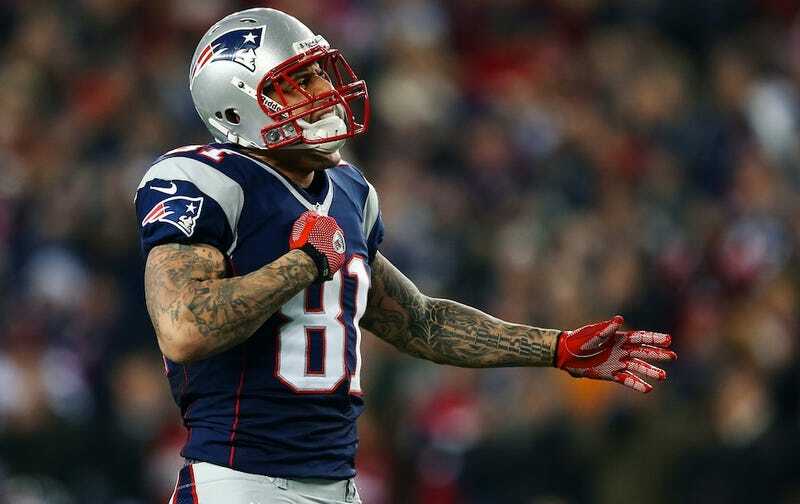 On July 16, 2012, a fight broke out at Cure nightclub in Boston between a group that included Aaron Hernandez and his friends, and a second group of men. That second group then left the club in their car. Down the block, a silver or gray SUV pulled up alongside and sprayed bullets into the car, killing Daniel Abreu and Safiro Furtado. The car hadn't been identified or recovered, but that's apparently changed. The Boston Herald has scoured court papers regarding the search of Aaron Hernandez's uncle's house last month in connection with Odin Lloyd's murder, and among the evidence seized, investigators found the SUV involved in Abreu's and Furtado's killings. “The case against Hernandez appears to be strengthening," a law enforcement official told the Globe of the double murder. Last month, sources speculated to the Globe that Odin Lloyd might have been killed because he knew about Hernandez's role in the 2012 murders, but that prospect hasn't yet been raised elsewhere, let alone in court. Later today, we could catch our first glimpse of Hernandez since his bail hearing. Hernandez is due in court for a probable cause hearing, in which a judge will decide if the prosecution has enough evidence to move to a trial. It's usually just a procedural matter, one more often than not waived by a defendant, and given the case already produced against Hernandez, we shouldn't expect any more evidence to be produced. At exactly the same time, Bill Belichick will speak to the media at Patriots camp for the first time since Hernandez's arrest. Whether Belichick will address Hernandez or not is still up in the air. Whether he should is a matter of contentious debate.